So here it is, the second half of the collection, if you missed the first ones, here they are. This second half consists of two vampy cremes and 4 shimmers. In terms of application, there is real 2 coaters : I brake for manicures and Color to diner for and four 2-3 coaters : I had to apply a third coat to even things out with the other 4. All the pictures below are with both base and topcoat. I Brake for Manicures is kind of a dusty plum, I just looove dusty purples and this one's a warm dusty one. It's definitely in my top 3 of the collection. Color to Diner For. I didn't really know what to think of this one when I first saw it. Actually I was sort of dubious about all of the shimmers... But I'll reserve my judgment for the end of the post... Color to Diner For is a kind of a "dusty" red,very fall appropriate, packed with pink and gold shimmer. 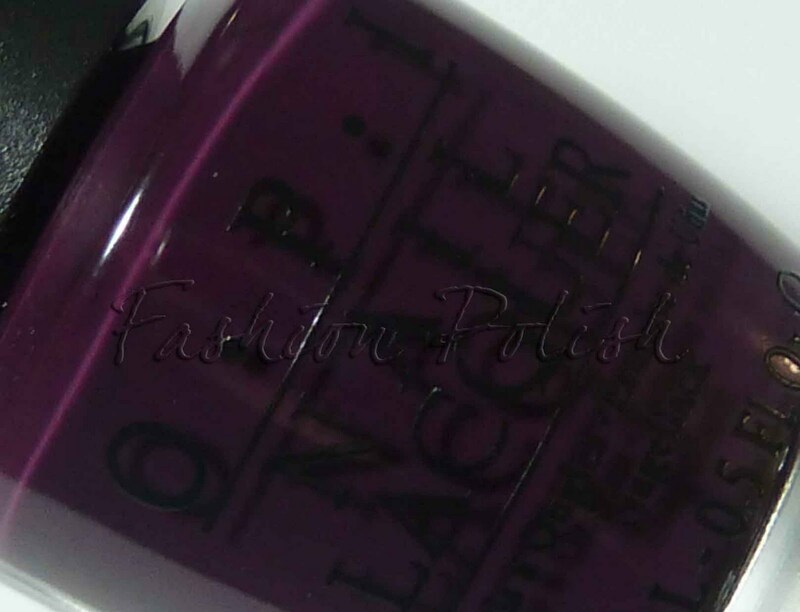 The shimmer is so obvious on the nail that the color really comes to life before your eyes when you apply it. My Address is "Hollywood" is a bright blue based pink with pink and gold shimmer, very flattering. I had to use 3 thin coats, I could have gotten away with two and I probably would have "in real life" but for swatching purpose, with macro zoom pictures, slight bold spots were visible. I Eat Mainely Lobster is a very bright coral with a strong pink tint, once again pink and gold shimmer. I was very surprised by this one (and the next one too, Are We There Yet? ), it's so bright and bold... If something such as a neon shimmer existed, it would definitely one. 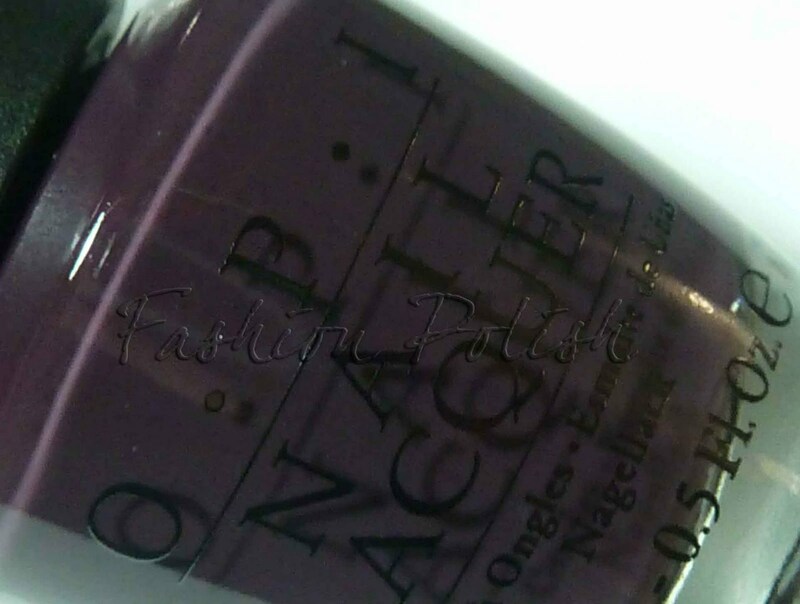 Same opacity as My Address is "Hollywood", 3 coats for perfect coverage. Are We There Yet? is another bright coral, but on the melon side this time. It's very hard to photograph because it tends to look very close to I Eat Mainely Lobster but on the nail they're totally different : Are We There Yet? is lighter and more orange. 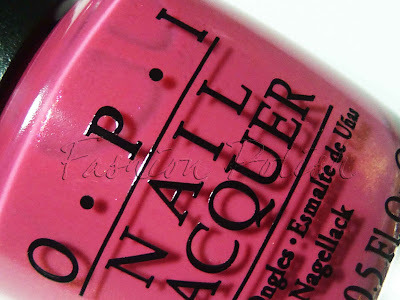 The pink and gold shimmer, once again, make the nail polishes of this part of the review very consistent. Although the pink/coral shimmers don't really call for Fall/Winter in my opinion, I must confess that I like them so much that I don't care one bit when OPI decides to release them. I truly didn't think I would, I was kind of meh about them at first... But if I had to choose just one nail polish from this half, I'd pick I Brake for Manicures without a doubt, I guess one doesn't change, a dusty purple will always make my day. In conclusion, I'll just add that this collection is definitely a hit for me. Absolutely amazing. Just when I think I'm done with OPI...I honestly feel like I need them all. Great swatches! Ummm I thought I would hate all of these. I like Honk if You Love OPI, Road House Blues and Are We There Yet. Thanks for posting these!! I'm so wowed by your swatches of I eat mainely lobster and are we there yet. They really do feel like summer colors though (I want them now!) 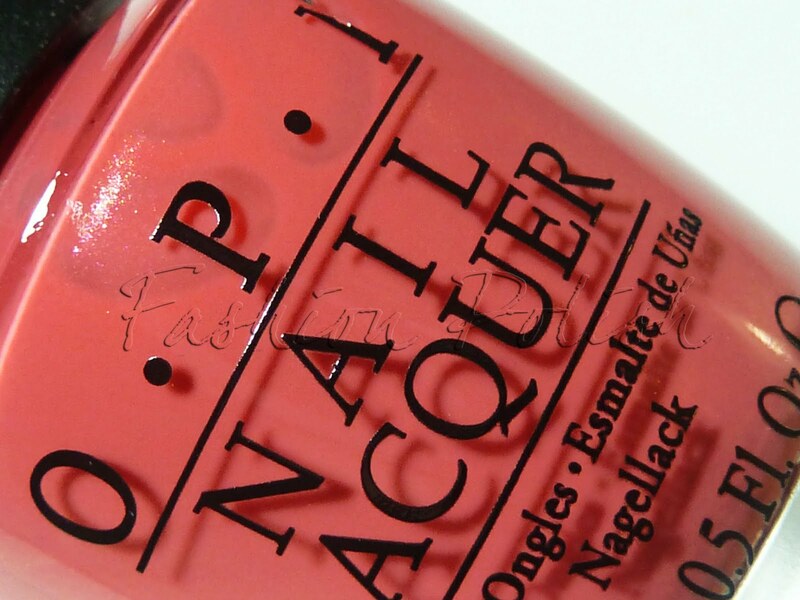 Are they dupeable at all to Chanel Miami Peach? @Dovey Thank you!!! Miami peach is more muted than these, they're really brighter (almost neon) and much more opaque too. I already want so many from this collection! I had high hopes for it from the promos, I'm glad it looks like the delivered. 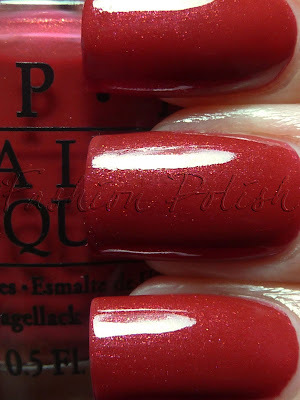 I am somewhat disappointed with this collecion, it is better on your nails than on promo picturess yet they are too similar to polishes I alredy own and I am not sure I can justify to buy dupes just because they are from OPI. and I adore your swatches!!! 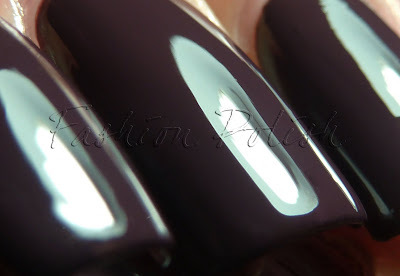 I love them, these shades are really perfect for fall! I'm happy you're enjoying the pictures, I got in a swatching marathon for these lol. Oh I love this half. Thank you so much for the swatches. I am so loving I brake for manicures. It's actually what I was looking for! 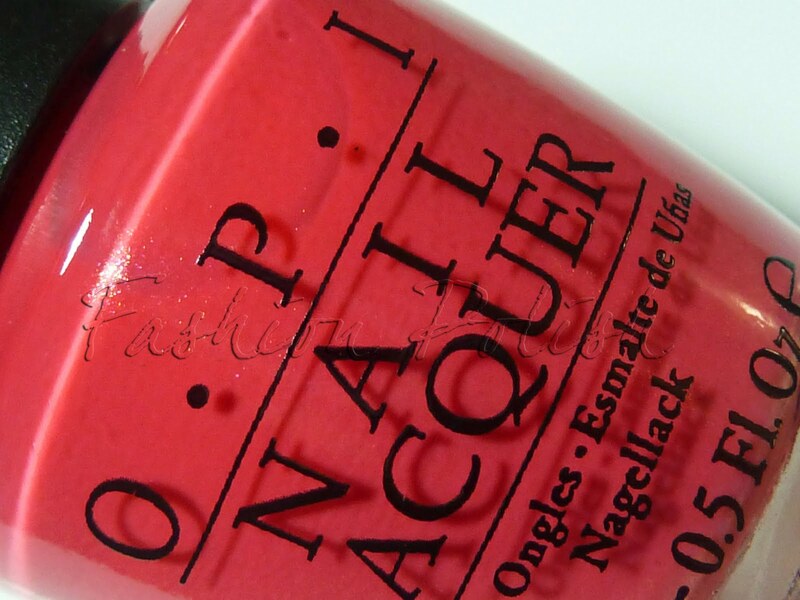 I love the reds/pinks/corals in this collection! 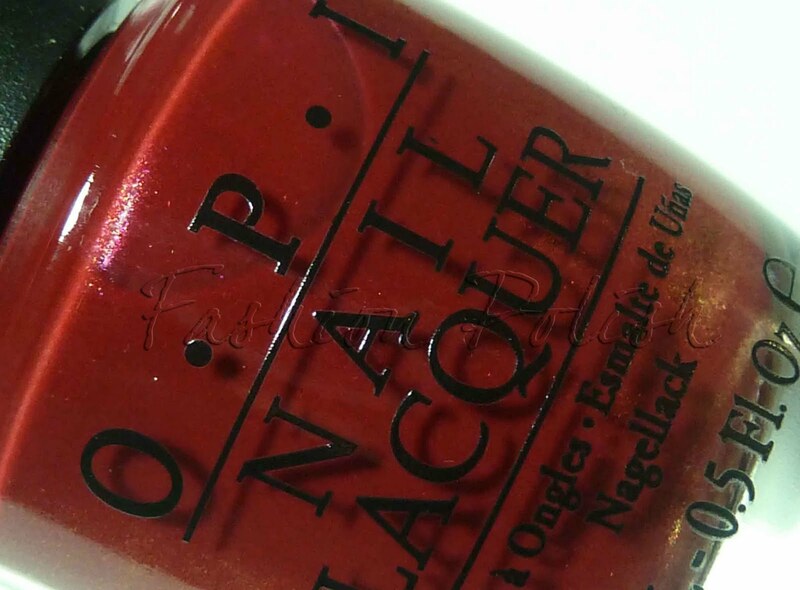 I haven't really fallen in love with any OPI colors in a while, but I need to pick up a few of these! I think I will be skipping the Chanel summer colors, except Mimosa. Thanks for the swatches! I like the last two! i can't wait to see these in person! Oooh je craque pour le color to dinner et le Are we there yet ! Your swatches are just perfection. And I'm gonna get the majority of this collection I'm a sucker for dark campy colors and pinks so they all will be mines. The most accurate swatches ive seen of these pink ones, thanks!